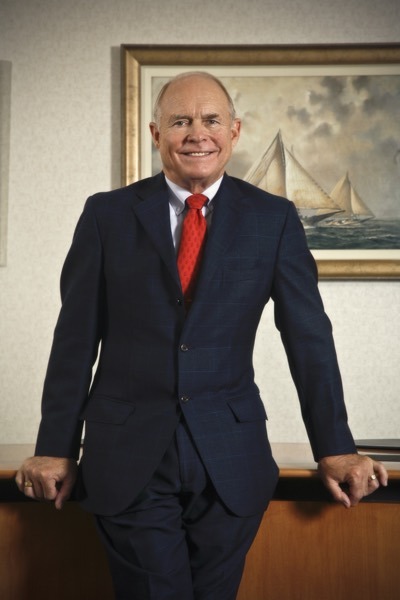 WOOSTER, Ohio [December 16, 2015] –After serving 40 years as CEO, Richard Seaman will be retiring from his current position. He will continue in his role of Chairman of the Board. Seaman began his 55 year career with the Company at the age of 15, having grown up in the business that his mother and father started in 1949. He enjoyed his time working with his father for 10 years after graduating from Bowling Green State University with an MBA in 1968. His father, Norman Seaman passed away prematurely at the age of 55 in 1978 of lung cancer. Over the next six years, the young CEO was faced with many business challenges. One major challenge was the loss of Company senior managers to early deaths, including the Vice President of Sales, the Company’s Financial Advisor and its Legal Counsel. These individuals, along with Norman Seaman, held the history of the Company. All were lost in a very short period of time. Richard Seaman always had the vision of building a company that would succeed him. This required continual investment in hiring and training qualified associates for the organization. This vision also necessitated continuing investment in the business, both in technology and equipment, as well as research and development. Just as important, Seaman continues to invest in the most important asset: its people. This vision has driven the growth of the Company for over 40 years. These core processes include strategic planning, associate development, organization and leadership development, Lean Sigma, innovation and new business development. In the past ten years, Seaman Corporation has invested more than $50 million in expansions, setting the stage for future growth. As Seaman transitions from his role as CEO, he continues to reflect on his career. One of the highlights of his career was his recent recognition as Entrepreneur of the Year in Northeast Ohio by Ernst and Young. Seaman was asked to provide his definition of entrepreneurship. He responded, “Entrepreneurship is the joy of creating a vision, the discipline of developing a strategy, and the passion for executing the journey.” Seaman believes these words describe not only his 55 year career but hopefully reflect the culture of Seaman Corporation. Seaman also noted that while he is proud of his legacy, he is equally proud of the foundation set in place to sustain the future growth of the Company. In the last decade, more than $50M has been invested in facilities, technologies, and equipment. The training and development of associates continues to be a high priority, as well as the development of the leadership team. Seaman has also developed a very effective governance process comprised of a strong Board of Directors. Also guiding the future of the company are the very engaged family shareholders. These strengths continue to support Seaman’s vision of building a company that will succeed him, resulting in a very deliberate and strategic focus on succession planning to prepare for this transition. As part of this transition, on December 9, the Board of Directors promoted the current COO and President, John Crum, to succeed Seaman as CEO and President. Seaman plans to look at the upcoming year as a sabbatical. On a personal level, Seaman and his wife of 47 years, Judy, plan to spend more time on their sailboat as well as do some traveling both here and abroad. Equally important, Seaman will take this year to reflect on the past, determine how he wants to spend his time in the future, and determine how best to serve as a resource to the Company in his role of Chairman of the Board. This time away will also provide more autonomy for John Crum and his leadership team to develop more rapidly into their new roles. It will also further develop and strengthen the governance and leadership process of this family business. “In the coming year, communications between John and the Board will be more direct than if I were still actively present,” said Seaman. When Seaman returns, he will be able to contribute in a way that will permit him to be a more effective resource to the organization. “John Crum understands the importance of family business and is committed to our family business philosophy and stewardship. John and his leadership team are also committed to the growth strategy of our family business,” said Seaman.